Would you like to get a hold of some dividend stocks that yield more than 4%, have safe, rock-solid businesses and trade at a discount of 20%? Sounds good, doesn’t it? Well, these stocks are readily available and many smart investors have been buying them for decades. What are they? Canadian bank stocks. Bank of Nova Scotia (NYSE: BNS), Royal Bank of Canada (NYSE: RY) and Bank of Montreal (NYSE: BMO) are attractive long-term investments income investors will want to own. And more than income may be available, as these stocks currently trade at a significant discount to the market, so they’re an opportunity to scoop up income and to grab value, too. Commonly referred to as Scotia Bank, the stock currently yields 4.7% and trades at nearly a 25% discount to its 52-week high. It currently sells for less than 12 times trailing earnings. Scotia Bank is the third largest bank in Canada, with assets of nearly $800 billion, and has more than 20 million customers located in over 55 countries. But along with Scotia Bank’s large international presence, which includes Latin America, Europe and Asia, it brings decades of careful management experience. 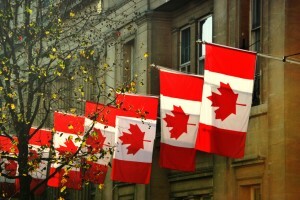 This is in addition to its naturally strong domestic presence in Canada, where it’s heavily involved in consumer banking, with both a strong business and personal line. Recently the bank reported earnings growth and increased its dividend. The largest bank in Canada, Royal Bank has a market cap of more than $80 billion. Its current dividend yield is 4.3% and the stock trades at just under 13 times earnings, at a share price that’s 21% off its 52-week high. Royal Bank has a presence in the U.S. market as well as in the worldwide capital markets with investment and corporate banking. Measured by revenue and market cap, Royal Bank is the largest company in Canada. Recently, Royal Bank purchased City National (NYSE: CYN), which is noted for its private banking in Hollywood. This will add to one of Royal Bank’s strengths, its global wealth management segment. Bank of Montreal has a current yield of 4.4%, trades at around 12 times earnings, and also trades at a discount of roughly 21% from its 52-week high. The fourth-largest bank in Canada, it was founded in 1817 and has paid dividends continuously since 1829. BMO bought Chicago’s Harris bank in 1984 and Marshall & Illsley (M & I) bank in 2010, which together gives the Canadian bank an increased commercial and retail banking leg in the U.S. Bank of Montreal maintains a strong position in mortgage and retail lending domestically, with its overall operations well diversified beyond Canada’s borders. 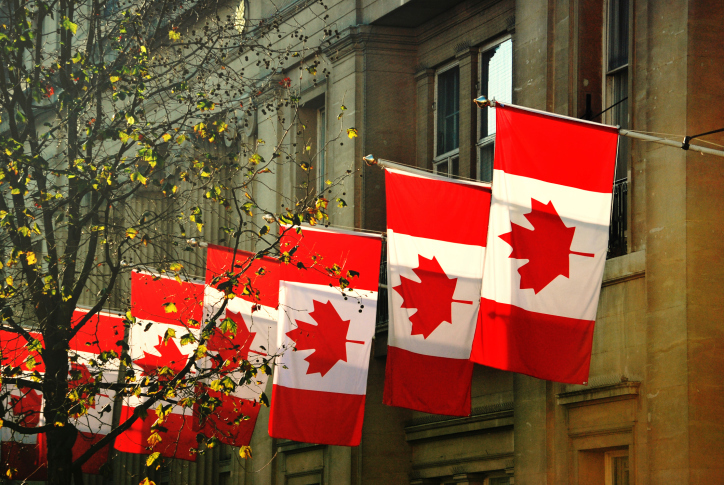 Canada’s banking system has been ranked as one of the safest in the world. As you might conclude from the long history of consistent dividend payments, Canada’s banking practices tend to be conservative with a high degree of risk management. During the global financial crisis of 2008-2009, the Canadian banks and Canada’s financial system held up remarkably well. Although there are concerns over Canada’s economy with its dependence on natural resources, these Canadian banks have for the most part delivered solid earnings. The diversification of their operations should help them weather any further sluggishness in the Canadian economy. Even at that, Canada will be in a lower interest rate environment with consumers paying down debt, so bank earnings should be stable or even feature some growth. These banks raise their dividends on average by 5% to 10% annually. These stocks are bargain buys. With their shares on sale, these stocks are double-play investments for both solid income and value. In 2014 alone, savvy investors banked an extra $710 million thanks to a much-overlooked law requiring select technology companies to share their profits. Here’s how to get in on the action… and start earning your own “Internet royalties” today! Click here for details!